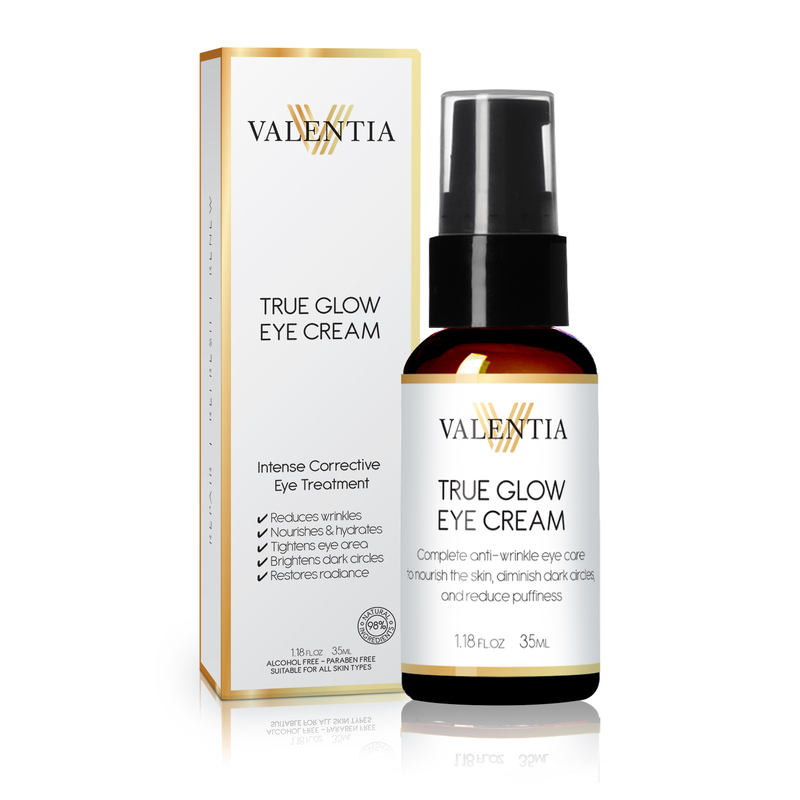 Valentia is back, and better than ever with their new True Glow Eye Cream! 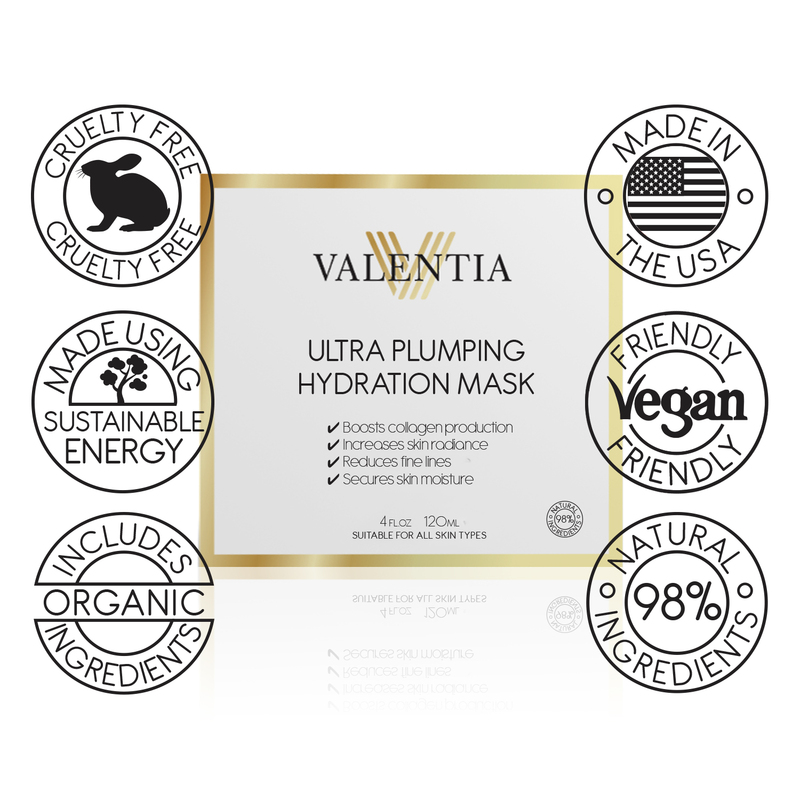 I've reviewed Valentia products in the past and they certainly don't disappoint. I have other facial creams and cleansers lining my dresser but nothing compares to Valentia. Two specific qualities make Valentia stand out from the rest. First and foremost, the texture. The true glow eye cream is thick and smooth. This makes it easy to apply. Secondly, the scent. Seriously, once you try these products you won't want to go back because of the scent alone! It's fruity, fun and refreshing. It's not strong but pleasant and soothing. The cream uses natural ingredients including, astaxanthin which smooths fine lines and wrinkles, and restores elasticity to the skin. It also has resistem, vitamin C, organic rosehip oil and arnica which works to diminish the appearance of dark circles. Yes, I am an older homeschool mom (not too far of from being over the hill,) with a growing family. Sure, there are days that I am tired but I certainly don't want my face to show it! I am determined not to be one of those moms that appear tired and miserable. Bags under the eyes certainly give that impression. Even if you're as chipper as a chipmunk if you have obvious bags under the eyes, you're pegged as overworked, overtired and worn down. I've been applying Valentia True Glow Eye Cream for several weeks now and have noticed a slight improvement in the appearance of under my eyes. I still need to cover under my eyes with foundation if I am going out, but they certainly aren't as dark and puffy as before! I applied once daily, and it quickly became a part of my morning routine. 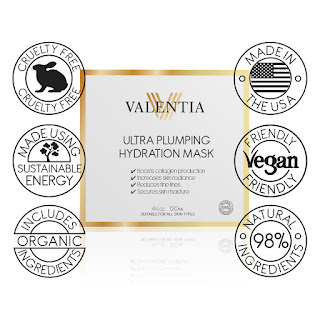 Another awesome product by Valentia is their Ultra Plumping Hydration Mask. In the same fashion as a mud mask, the hydration mask uses ingredients from nature including a silk protein amino acid blend, botanical hyaluronic acid, organic sea buckthorn oil, Japanese green tea, and aloe vera. This product requires you to leave it on your face for15-30 minutes. Since this is made of natural ingredients that isn't a problem for most people. Unfortunately for me though, I am caffeine intolerant. I am affected by even the slightest amount, even through the skin so having this product, which is made with green tea, on my skin for an extended period of time is not wise. Disclaimer: This post is brought to you by Brandbacker. All opinions stated here are my own.